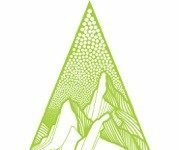 The Access Fund and American Alpine Club announced the 2018 Anchor Replacement Fund grant awards. Now in its third year, the grant program launched to address the growing concerns of anchor failure and the access issues that could result from these incidents. This year, the funding went to nine worthy anchor replacement projects across the country, said the non-profits. Here’s their list. The Bighorn Climbers Coalition (BCC) was awarded funding to address aging anchors in Ten Sleep Canyon. The BCC will focus on replacing wedge bolts, cold shuts, and worn lower-off anchors throughout the canyon. These will be replaced with 1/2” stainless steel bolts and high-quality ring anchors and lower-off hooks specifically manufactured for climbing.